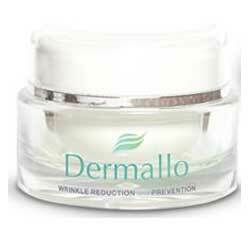 Dermallo Anti-Aging Cream Review: Does it Deliver Results? Dermallo is an anti-aging skin serum that is meant to improve the appearance of fine lines and wrinkles near the eyes, mouth and brow, as well as decrease eye puffiness and dark circles, all while hydrating and smoothing your skin. The manufacturer claims it is advanced and revolutionary, and they do provide charts and surveys about customer satisfaction and effectiveness to back it up. The manufacturer offers a fourteen day free no risk trial in which you only pay for shipping and can return the product if you don’t like it. If you decide to keep it, you will be charged the full $89.99 price. You can only purchase Dermallo through the official manufacturer website, Dermallo.com. Rub the cream on your face daily, paying extra attention to problem areas. To order the free trial, go to Dermallo.com and enter your information into the form on the homepage. Note that the fourteen days of the trial start when you order it, not when you receive it. Helps reduce crow’s feet and wrinkles on the brow and around the mouth. Helps tighten skin to lift cheeks. There is a free trial available. There are no documented side effects. Though the manufacturer claims Dermallo is made of “all natural botanical ingredients,” some of the ingredients listed are synthetic formulas. Even if you decide to keep the trial jar and are charged the $89.99 price, you must still cancel your trial or your credit card will be charged once a month to receive a new jar of Dermallo each time. This is not made explicitly clear on the official website. The charts and statistics provided on the site mention surveys and clinical tests, but no official documentation about the surveys and tests is readily supplied, just the alleged outcomes. You can’t find Dermallo at major retailers. Dermallo has an official website that lists and thoroughly explains the product’s ingredients and what they do. 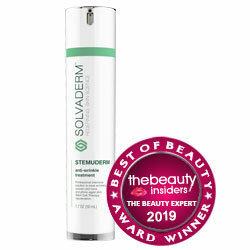 However, Dermallo is supposed to be made of all natural ingredients, and though there are a number of botanical ingredients in the serum, some of the ingredients listed are in fact synthetic formulas, such as Lipogard. There is a free trial offer with a money back guarantee available, but be wary because it gives the company access to your credit card information, and they keep charging you every month if you don’t cancel the trial by calling 1-866-599-9773. While Dermallo lists impressive percentages about satisfaction and effectiveness, they do not cite the surveys or tests they refer to. Please keep in mind that there are many other wrinkle-reducing serums available, so consider all of your options before purchasing.